Home > Uncategorized	> A Not-So-Nobby Neighborhood in Newport News With Numerous Kit Homes! A Not-So-Nobby Neighborhood in Newport News With Numerous Kit Homes! It’s called, “East End,” and it’s a badly blighted, crime-ridden part of the otherwise lovely, history laden city of Newport News (Virginia). Despite the fact that I’m a native of Tidewater, I never knew this neighborhood existed, until I stumbled upon it while looking for a particular house in Hampton! After my fortuitous stumble into East End, I discovered a Sears kit home I had never seen before. After 12 years of playing with kit homes, that doesn’t happen too often these days. And yet here it was, in Newport News, which is next door to Norfolk (where I live). 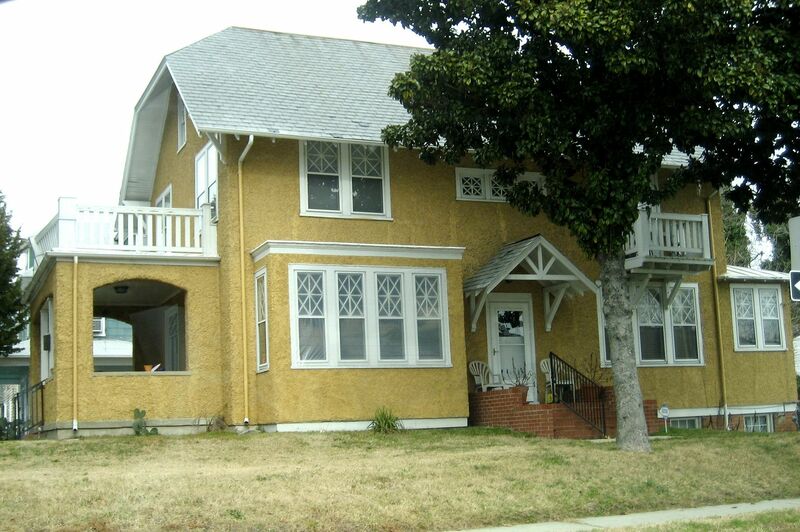 To learn more about these early 20th Century kit homes, click here. The next day I returned to East End to get a better photo of this Sears House, and I found several more kit homes. I returned a couple days later and spent 90 minutes driving to and fro in this neighborhood. 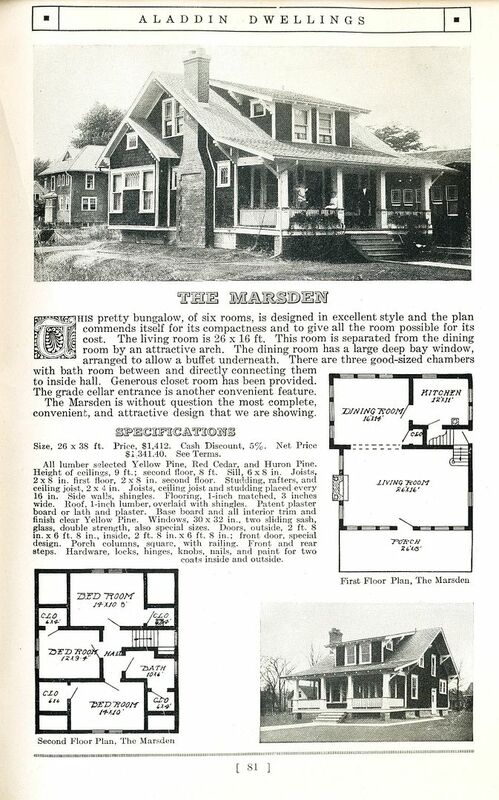 It’s my hope and prayer that this research might encourage the important people in Newport News to think about what can be done to preserve and protect this truly remarkable collection of kit homes. The research and writing of this blog consumed many, many hours of my life. Please share this link with others, who may have any interest in our cultural and architectural history. Enjoy the many photos and please leave a comment below. To read about the kit homes I found in Hampton, click here. 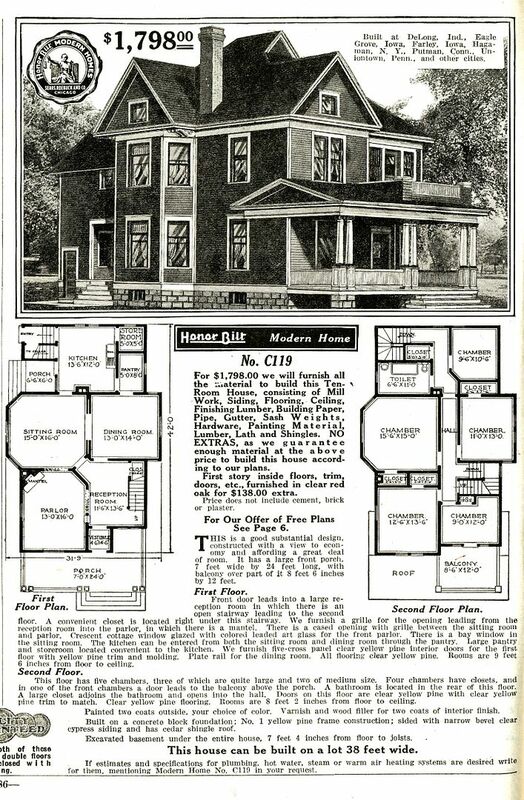 The first house that caught my eye was this Sears Model #119. It's a grand old house, and the house in Newport News is the first one I've ever seen "in the flesh." Hard to believe, but someone built this house from a kit. 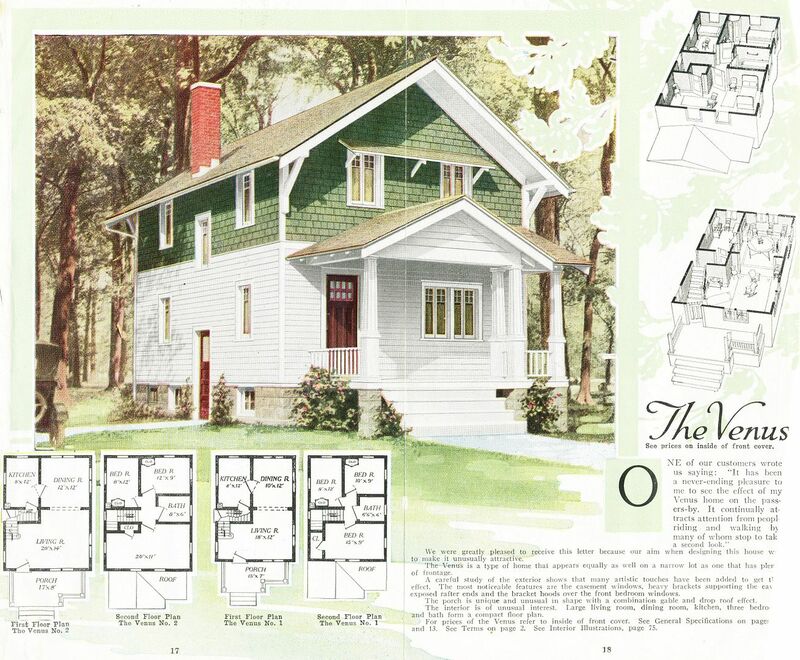 These houses arrived via train, and came with 12,000 pieces and a 75-page instruction book. I can only imagine how hard it was for this home's original builder to leave this home that he'd built - with his own hands - for his family. These homes were built to last for GENERATIONS, and they were made with superior quality building materials. This house is on Marshall Avenue. Side-by-side comparison of the two images. 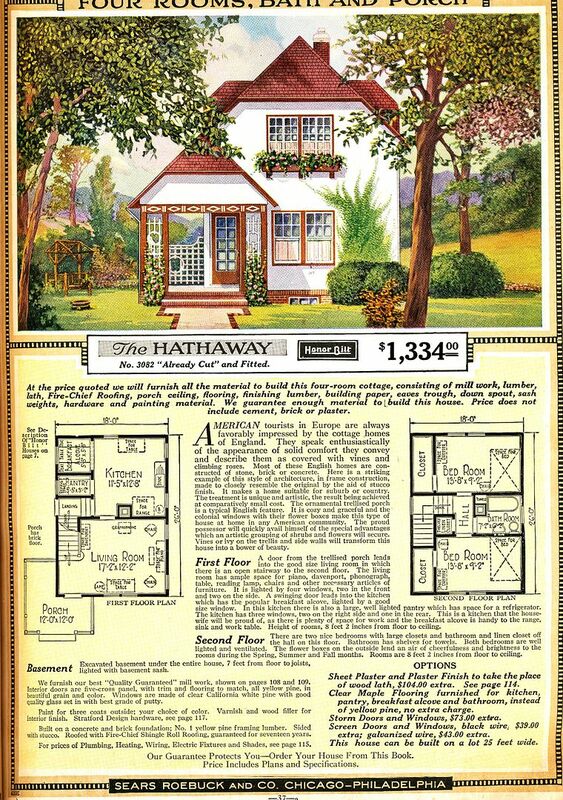 The Hathaway was a cute little house, and affordable, and probably not too tough to build. Here it is, in PRISTINE condition, and sitting unobtrusively on Hampton Avenue (in Newport News). Notice that even the original lattice work is still in place, and is a spot-on match to the catalog image. Just incredible! Probably one of my favorite finds! A comparison of the two images. What a treasure! Just as I was getting ready to head home, I turned down 26th Street and lo and behold, what did I see, but a PERFECT Aladdin Brentwood smiling back at me! This image (shown here) is from the 1914 Aladdin catalog. This is a classic Arts & Crafts design, and a beautiful house. A perfect Aladdin Brentwood. When I happened upon this house, I made a high-pitched happy noise, followed by paroxysms of great joy. But this poor old Aladdin Brentwood is in rough shape, and needs quite a bit of work. The balcony's railing (upper left of photo) is literally falling off the house. This house is across the street from the Pearl Bailey Public Library. Side by side comparison to the two houses. Pretty sweet house! The Aladdin Venus, as seen in the 1919 Aladdin catalog. The L-shaped front porch is a distinctive feature on the Aladdin Venus. What is it about this color and Aladdin Homes in East End? Another very nice match. As a side note, photographing this house was very difficult, as it was on the right side of the road on a one-way street (26th Street), and I wasn't prepared to park the car, and hoof it to the house just to get a good shot. 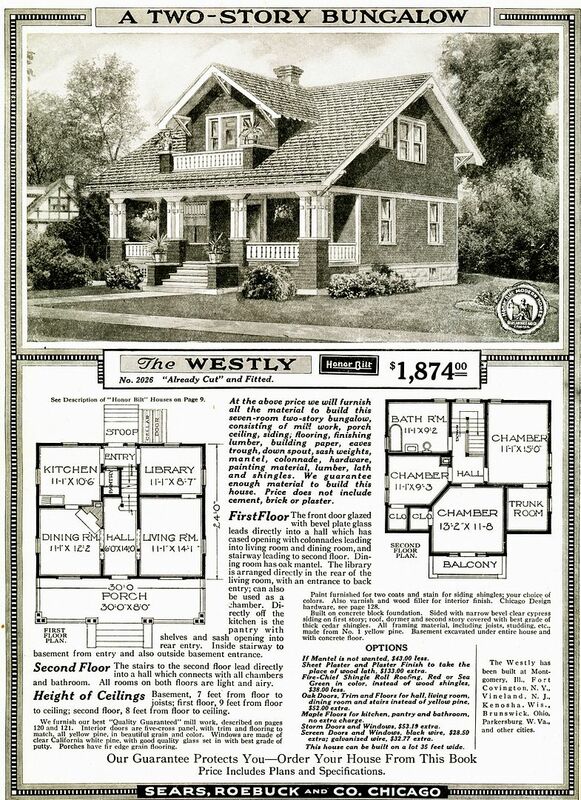 The Sears Westly, as seen in the 1919 catalog. And here's a Sears Westly in good condition on 23rd Street. Again, a very sweet match to the original catalog picture! The Aladdin Marsden was probably one of their top five most popular houses. Look at the detail of the brickwork on the chimney! 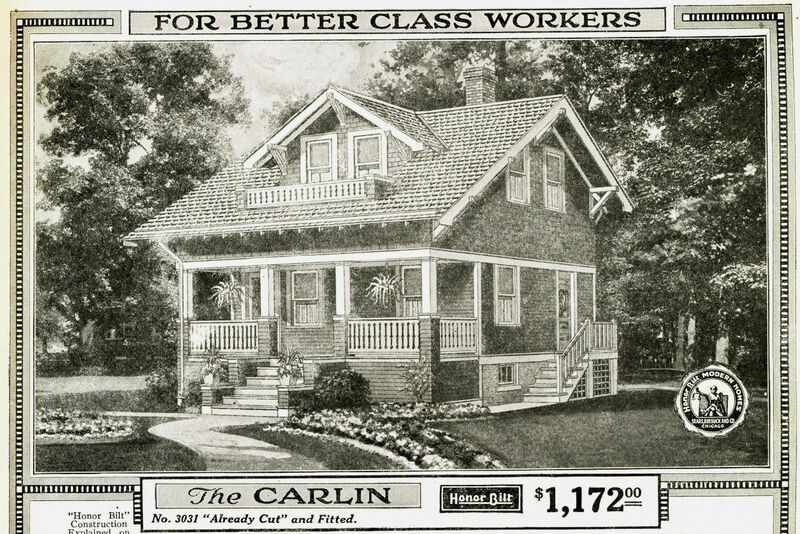 This Sears Home was for "Better class" workers! Ouch. At least the satellite dish is dressed up for the holidays. Lewis Manufacturing was yet another early 20th Century kit home company. I suspect this *may* be a Lewis Pelham, but I'm not convinced. There are a lot of things that are "just right" and match the Pelham very nicely. 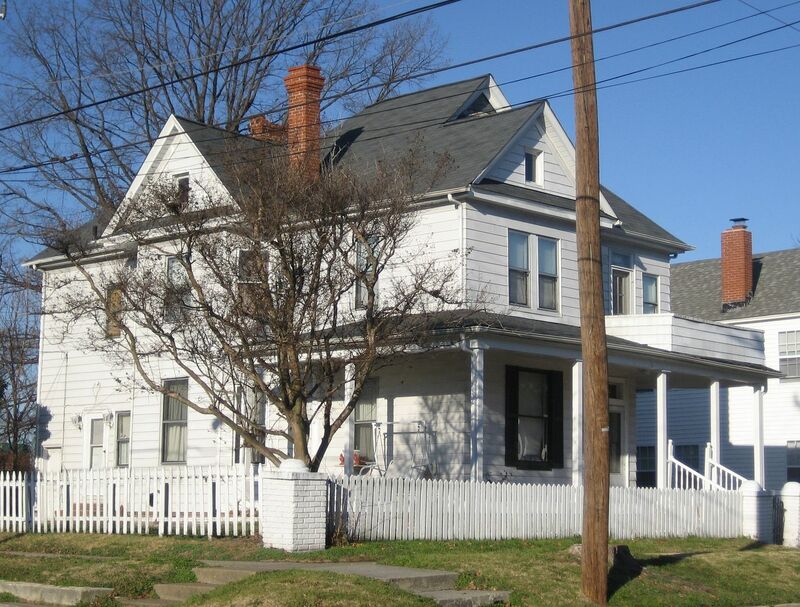 Notice the squared bay with a shed roof, and the four round columns on the front porch. 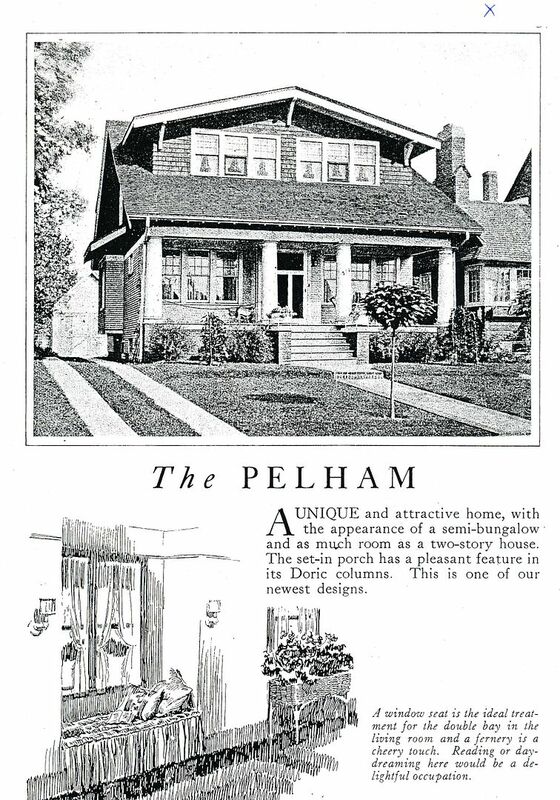 It's a good match to the Pelham, but not perfect. Hard to see here, but in "person" you can tell that four windows in that gabled dormer were removed and sided over. And check out the action on the back roof. This classic bungalow is becoming an A-Frame. Icky. If you look closely at this dormer, you can see that a few windows have been removed and covered up. From the 1910 catalog, this is the Sears Model #123. This house in East End is SO close, but just not quite right. This house has so many odd architectural details (the pedimented porch, the two different-size dormers on the side, the bay under the larger dormer), but it's not 100% perfect. At the end of the day, Teddy The Amazing House Hunting Dog was tired, and ready to move on to the next adventure - LUNCH! We'd both had an exciting day with lots of fun discoveries, but we were glad to come home and chow down on some tasty kibble. I’m confident that there are many more kit homes in this small part of Newport News, and I hope to return one day (with a driver), and do a little more searching. It’s hard to focus on houses when there are so many people milling about in the street. :( Plus, while I was in this area, I saw TWO drivers blow past stop signs, without even pausing to glance at traffic. Scary. And then sometime last night, some poor soul was shot repeatedly in this very area. Please leave a comment below, and please share this link with friends, via Facebook, twitter or even plain old email! 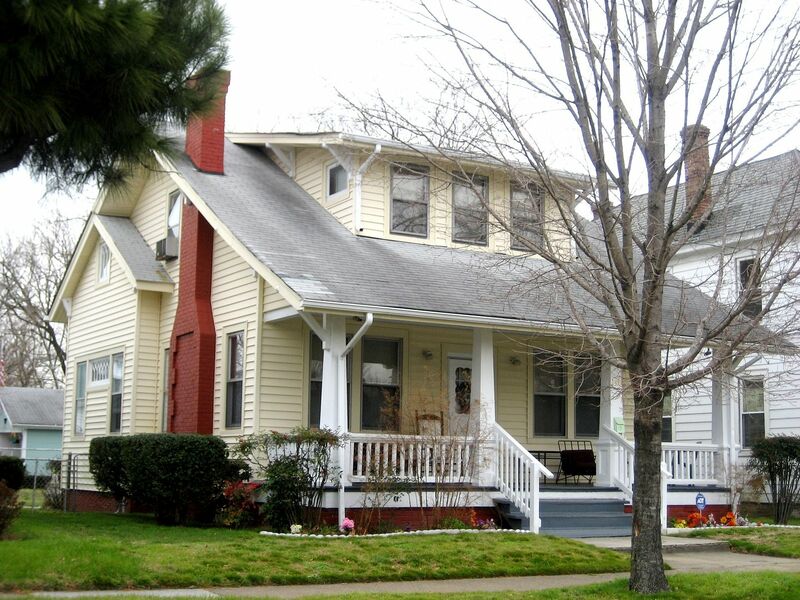 To learn more about the kit homes of Hampton Roads, click here. To read about kit homes in nearby Hampton, click here. When you asked me if this area had a name, I replied “East End” … not “The East End”. Seems like an innocuous difference, but to native NNers, it jumps off the page, but sticks on the tongue. It would be much the same as saying “The Ghent” or “The Colonial Place”. Thanks. I think I’ve fixed it now. You know how it is with us “flatlander tourists.” We just don’t know the local vernacular. Great Work. Thanks for chronicling history, while risking your life in the beautiful East End. I’m surprised to see so many of these houses, looking so good, in such a blighted area. Again, thank you for your passion. Next time you are in Lake MIlls, bring Teddy by to say hello to Uschi and Booboo. I am only a block from the mansion. Also, when you were in Lake MIlls did you look at the four homes that were built to house Creamery Package workers? They are very near the old foundry and look very much all the same. I was wondering if they were kit homes. Rosemary- I’ve recently read your piece on Sears Homes in the Southeast Community of Newport News. Wow, I would have never thought that Sears Homes would have existed here in Newport News! I am a Realtor and developer who lives in Newport News and was wondering (hoping) that you could come to Newport News and give a talk to my Rotary Club about Sears Homes. Please let me know. Thanks in advance! As a fellow tidewater local, wanted to say hello and to say thanks. 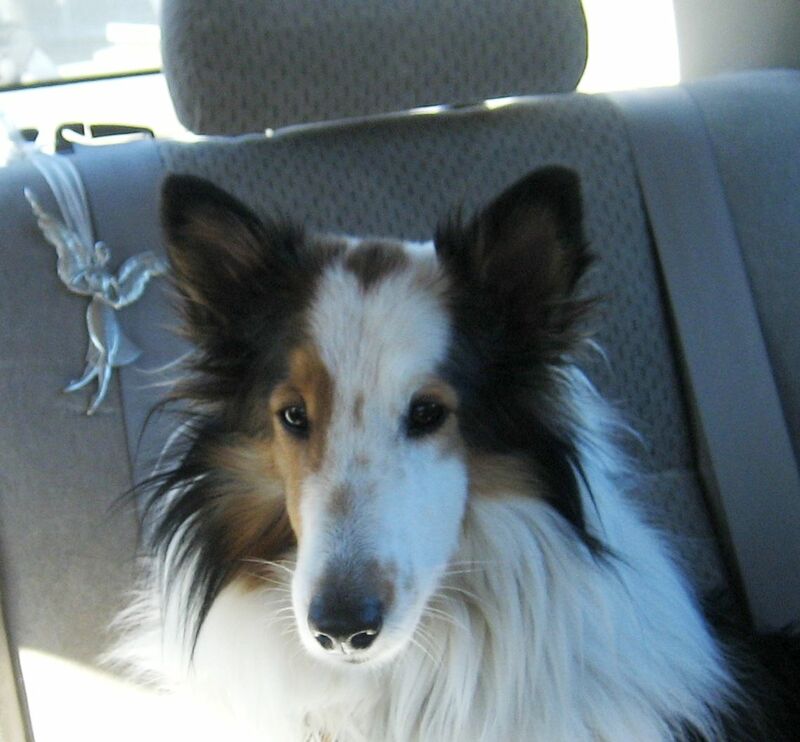 I’d like to ask for some addresses for the local houses for a check for the Hampton and Newport News and other local houses if that’s OK and to say love your companion - I also have collies! Teddy’s gorgeous. Mine aren’t big riders, though. When I have a chance, I’ll send you the addresses for the houses I found in Newport News and Hampton. It’s quite a few. Did you see the blog I did on the kit homes of Hampton? Yup, saw the two - Hampton and Newport News! Hello, Just found you when checking on Aladdin homes. We recently purchased a Brentwood model built in 1918 in Elkhorn Wisconsin. The house has been in the same family for all these years so we are the third owner. We know quite a bit of the history of the house since we met the grandson of the original owner who lives about a quarter of a mile down the road a bit. We’re way out in the country. from the stories he heard and we were able to purchase the book through Amazon. Inside the house we found very detailed blueprints from Aladdin company. As you can see from the Brentwood model this must have been a very distinguished looking house for it’s time way out in the country. It has a poured concrete basement which was unusual for Wisconsin - most of the basements were made from cinder blocks. Inside the basement was a poured concrete room which was a cistern (held water). The house was the first one in the area to get electricity. So we have been fortunate to find out a lot of the history to our home. We are in the process of updating every room in the house trying to keep an old fashioned look however the outside of the house is in terrific condition - the house has been verry loved over the years. Just wanted to tell you I found this particular entry today, and was pleased, but not too surprised, at the plethora of kit homes in the area. The railroads were and still are plentiful in the area, with the coal piers at the far end of Newport News, and the abundance of Shipyard workers in the whole region makes the whole thing make sense. Housing in that area is a long term proposition, with generations of families making their trade and spending their entire working lives in the Shipyard, and with the railroad in the area, the coal piers, the fishing and crabbing businesses and so forth. I have several generations of my step-father’s side of the family, including him, who have done just that, including an uncle who really did give his all to the business. He was one of the very talented official photographers for the Shipyard, who passed away many years ago from a massive heart attack during his lunch hour in the middle of the week! I was raised, although not born in, Newport News and Hampton. I was brought to the area as an infant in 1958, stopping first briefly in Colonial Heights outside of Petersburg, where my paternal grandmother lived, when my father was released from the Army at Fort Benjamin Harrison in Indianapolis, where he met my mother. We didn’t stay there long, moving to Hampton to a “trailer” followed by an apartment, followed by a house, when he started working for the Shipyard. There was also one brief foray into Churchland for one year, attending Western Branch High School the year it opened for “business” (the auditorium wasn’t complete until after Christmas!) for my Sophomore year, 1972-73. My freshman year we spent off of King Street in a house on Kingslee Lane, where I went to Benjamin Syms Junior High School, 1971-72. The year prior to that I spent as an 8th grader at Newport News High School, the very last year it was a 5 year High School, 1970-71. We lived in some apartments, now long gone, I think on 79th Street off Mercury Blvd. I think it was one of my favorite years, going to that historic old school, with a bakery right across the street from the main entrance that had the best hot donuts early in the morning, and so close to downtown, making for some interesting “Hooky Days” downtown shopping! Of course, that was back when you still COULD go downtown to shop. Prior to that, we lived in a couple of houses in Denbigh, in one of the first “new” houses built on Denbigh Blvd down from Denbigh High School. But before that in my step-father’s parent’s original home on a street I cannot remember the name of right now. (Shoemaker Lane(?) comes to mind, but at this point, I can’t tell you which home it was attached to!) That was the year my mother and step-father got married, 1963. It all ended up with my graduation from Hampton High School in 1975, having spent two whole years (!) in one school! The following year, 1976, I married my wonderful hubby, who was stationed at Langley, and moved to the Great Midwaste (Indiana) when he got out of the Air Force in late 1977. SO - I spent almost all of my growing up years wandering about the Peninsula area from one home to the next, and all the time admiring greatly the older houses in the areas with big front porches, gabled roofs, bay windows and “bump outs” and just a personality all the new construction these days seem to be completely bereft of. It was like a tour of the old neighborhoods with all the photos you’ve posted of the area, and I’m about to go to the next part with all the houses you’ve discovered in Hampton! Thanks so much for this little taste of home - I sure do miss it. 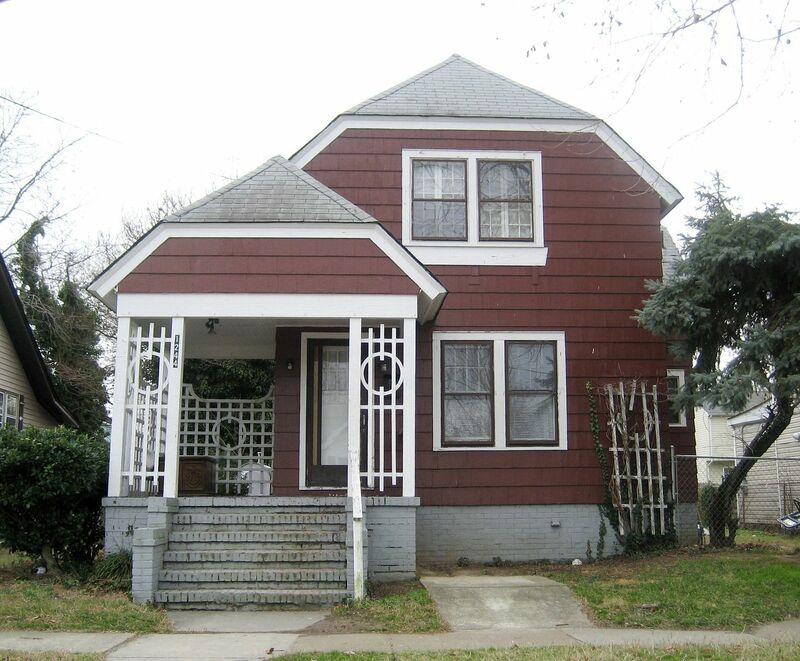 That grey dutch colonial is a pattern that I *think* might be from JH Daverman. I know it’s not from Radford, that I can find anyway. I sure wish I could get my hands on a Daverman catalog! I found one in Oklahoma City Ok, Independence, Kansas, and Hebron Ohio. Anyhow, the REAL reason I’m here, there is a Sears #119 in Hamilton, Va. on East Colonial Hwy and Twinoaks Place. 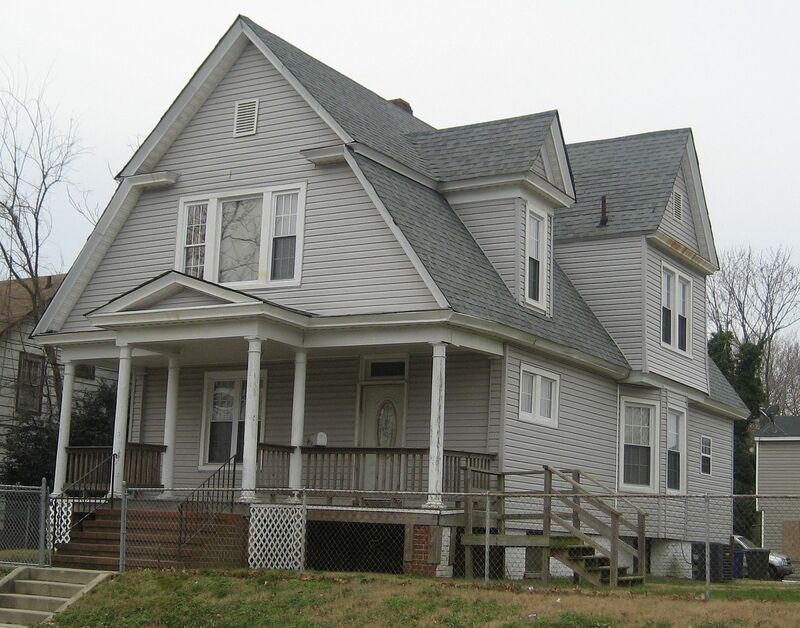 My step-great grandparents moved to 1331 25th St. in Newport News’ East End/Southeast community in 1909. Their home still stands in the block between Oak and Parish avenues. When I last saw it, it was in good condition. I’m not sure. My brother-in-law replaced the upstairs front porch in 1982. The master bedroom has an outside door to the porch. There were no closets except for one downstairs under the stairwell. In the early 1900s, there was a kitchen with an “A” roof at the rear of the home. Adjacent to the house was a garage suited for a model “T” or model “A” automobile. The property originally consisted of four narrow, deep lots (popular at the time), two of which my family sold to the church which is next to the house. My grandmother told me that 25th St. was not paved until WW I. 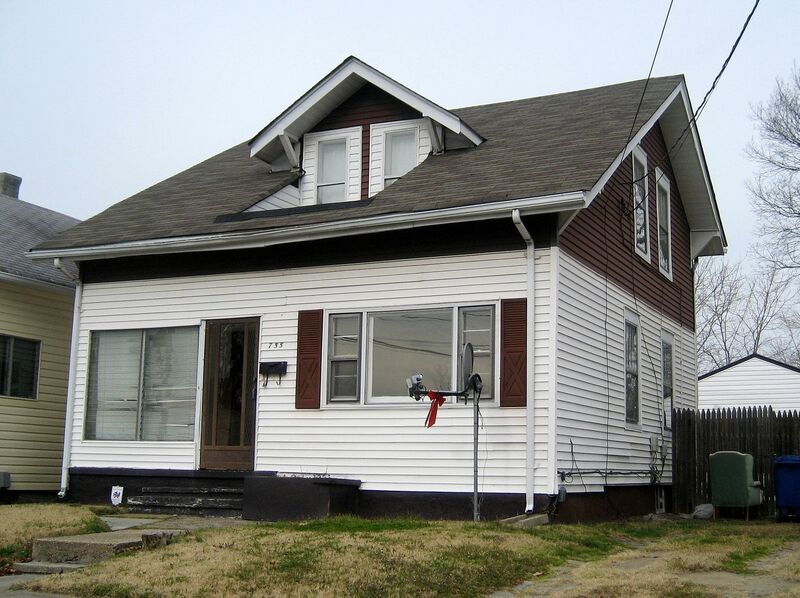 (She was born in 1900 when they lived at 1232 28th St. in a very non-descript dwelling). 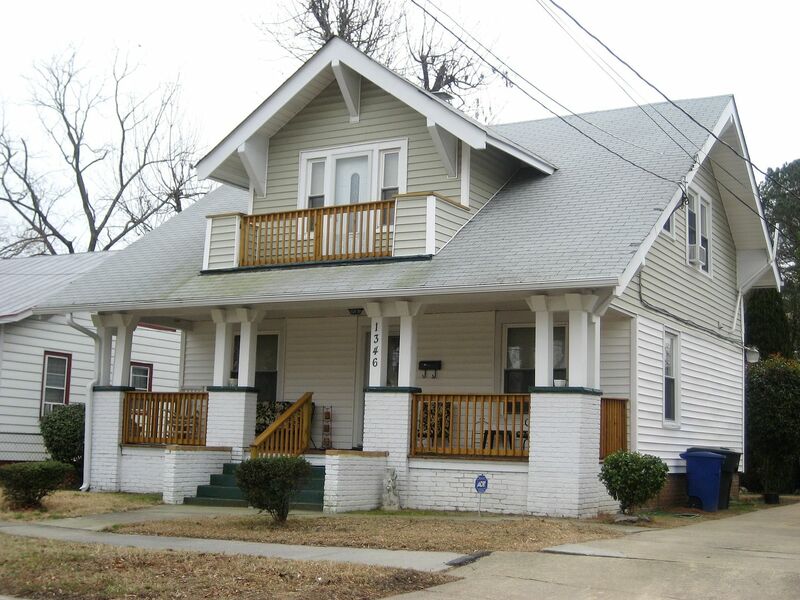 The first home in which my ancestors lived was in the 1000 block of 27th St. when they came to Newport News in 1897. Last time I checked, it was still there. 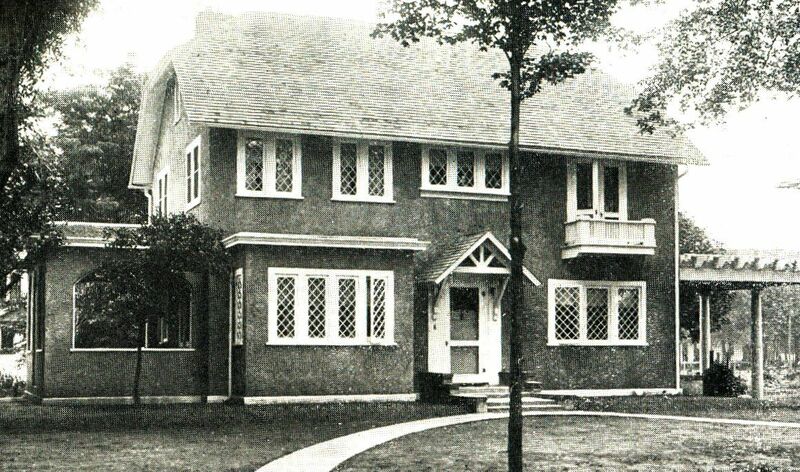 This home was more substantial than the house on 28th St. but not as imposing as their house on 25th St. I lived there (1331 25th) during the summer of 1984 before it was sold out of the family. Four generations dwelled in that home for 75 years! 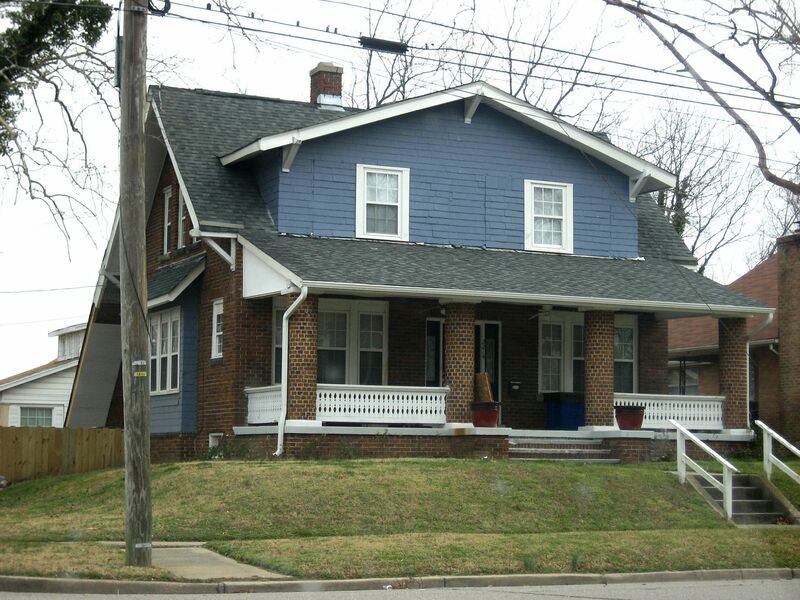 My paternal grandparents lived in Newport News at 1126 Hampton Ave.
Don’t know whether their home was an Aladdin or Sears kit house. I so enjoyed reading this and seeing the pictures. 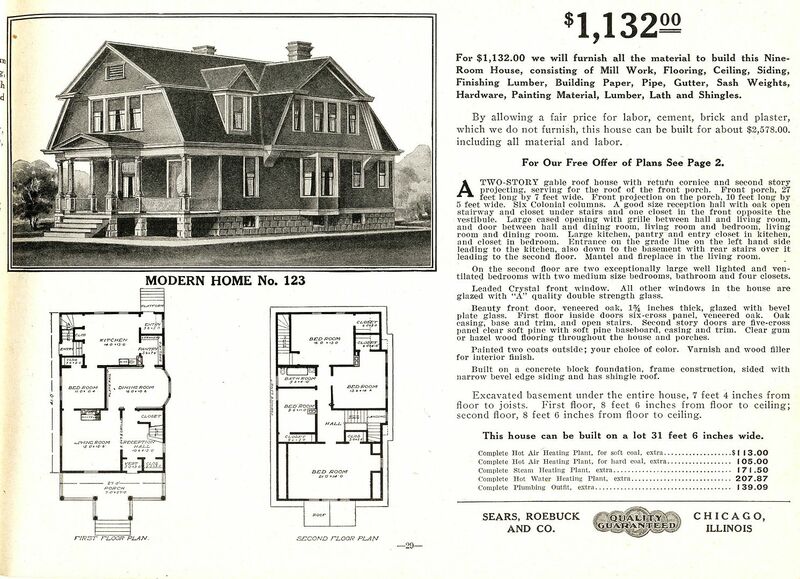 I wish they would still sell houses this way! Thank you for a walk down history-lane and a chance to see some preserved pieces of history - some in better shape than others! 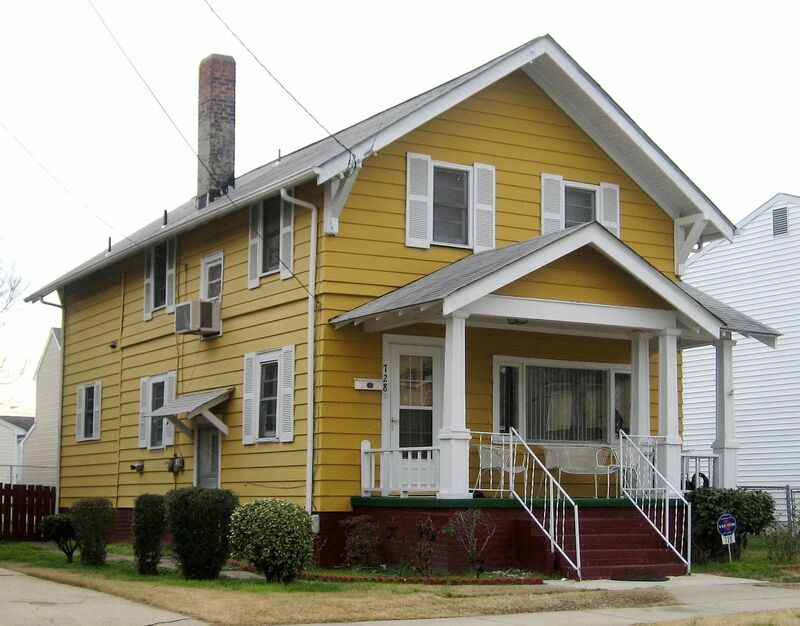 Sears Kit Homes in a Town That’s Sinking into the Sea: Norfolk, Virginia Lost in Schenectady!